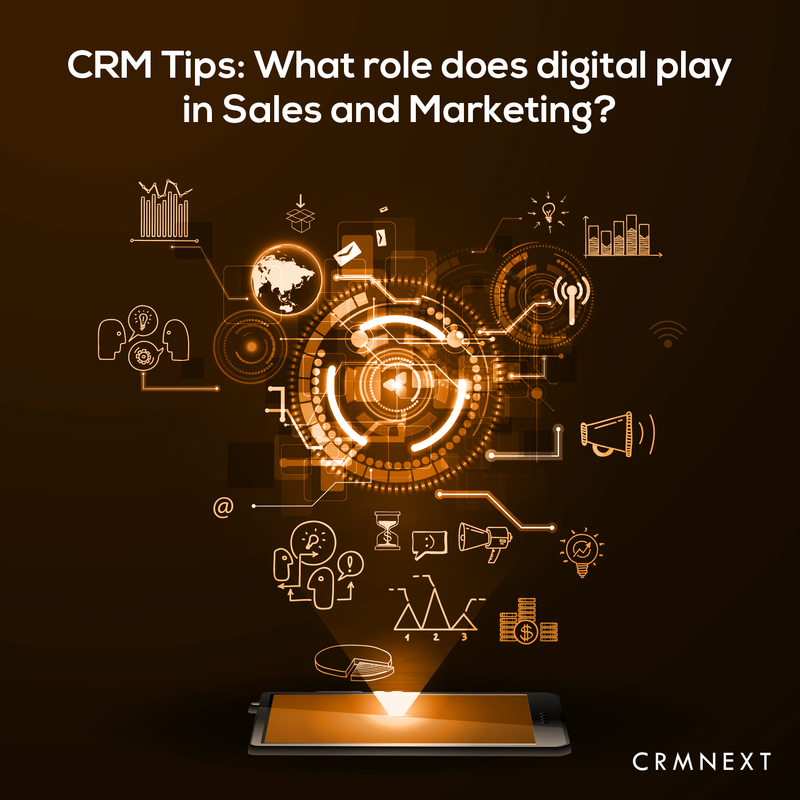 The Best CRM Blog: CRM Tips: What role does digital play in sales and marketing? CRM Tips: What role does digital play in sales and marketing? Migrations to brighter pastures are now not just limited to Mother Nature. 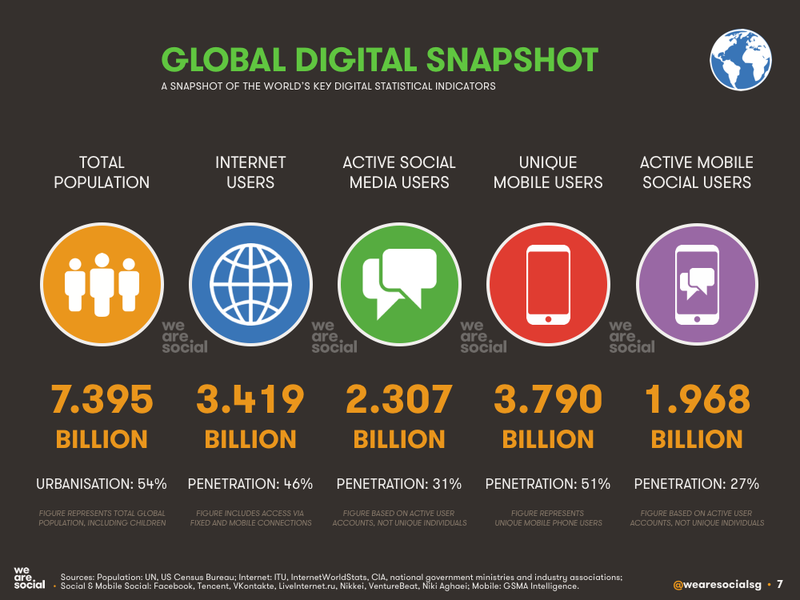 Businesses are increasingly migrating from 'Physical' to 'Digital' to connect with customers. Why? The below snapshot will answer your question. 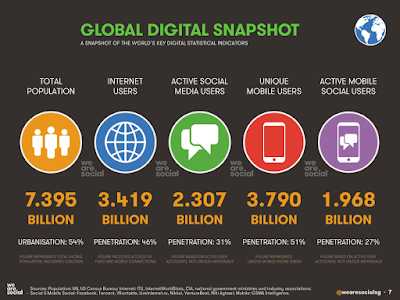 Digital now empowers brands to conduct campaigns through social media platforms. User numbers in these platforms dwarf countries. The reach a brand gets by hashtags, retweets and share is immense and leads to unprecedented audience reach. Social CRM tools also provide intelligent analytics that gives actionable insights on campaigns, reach and returns. To increase revenue, you need to increase the quantity and quality of leads captured in the system. Not possible with legacy systems. Instead, platforms like digital CRM empowers your business to capture complete profile of prospects that can be used to gather valuable intelligence. Various CRM functionalities that can be used to build meaningful relationship come into play. Today, there is no 'auspicious' time and place for selling. You need to be ready 24*7 to meet customer demand and you can be by going digital. Sales automation tools inbuilt in CRM solutions enable sales teams to complete sales process faster and minimal costs. Plus, based on multiple parameters like customer profile, recent transactions, product holdings etc., Digital CRM automatically creates smart personalized cross sell offers that will help to boost number of product holding per customer.Lifelong customer loyalty through delightful engagement is the end result of going digital. Technology makes sure that all 'channels' leads to your business. Be it web, social, SMS, emails, calls etc. For example, it would have been heresy to suggest you can buy policies without any documentation or assistance. Now, it is expected that more than 75% of insurance providers will sell policies online. More importantly, customers are loving the new found empowerment in making a decision. Digital enables customers to quickly adopt your products. Lean mobility with out of box products like 'Assisted Bank-in-a-Box' empowers business to set shop, start operations and break even within a short time. Brands are quickly realizing that when millions are at stake, there is no option but to go digital. Digital has given rise to online aggregators who serve as a marketplace, particularly for information. They rely on pure data, rather than human intervention, that carries the risk of personal bias. The distribution of information has evolved from a mono channel model to a multiple one. All this translates to faster access to accurate information. When you go digital, you engage, empower and serve customers better for delightful experience with maximum reach.